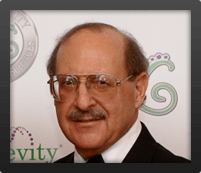 Dr. Joel Wallach is a veterinarian, naturopathic physician, author and lecturer who played a major role in the development of the market of liquid vitamin – mineral supplements. He became nationally known through his widely distributed audio tape, “Dead Doctors Don’t Lie”. Born and raised in Missouri , Dr. Joel Wallach attended the University of Missouri , where he received a Bachelor’s degree in Science of Agriculture. A veterinarian for 30 years, he worked as a research veterinary pathologist with The National Institute of Health for The Center for the Biology of Natural Systems, Washington University, St. Louis, Missouri; Yerkes Regional Primate Research Center in Atlanta, Georgia, at Emory University. Having discovered and identified the first animal models for cystic fibrosis- monkeys – he found that he could reproduce their condition at will because it was a nutritional deficiency. Past episodes of Dr. Wallach’s long running nationally syndicated radio show dating back to May of 2006.